Why Should I Get Involved? FREE Science Fair Seminar ~ Teachers Welcome! Get the scoop on schedules, film festival, seminars, maps, hotels, links, contacts and more! Public Viewing: The public is encouraged to come during WSSEF’s public viewing hours to view exhibits and support the students at NO CHARGE. 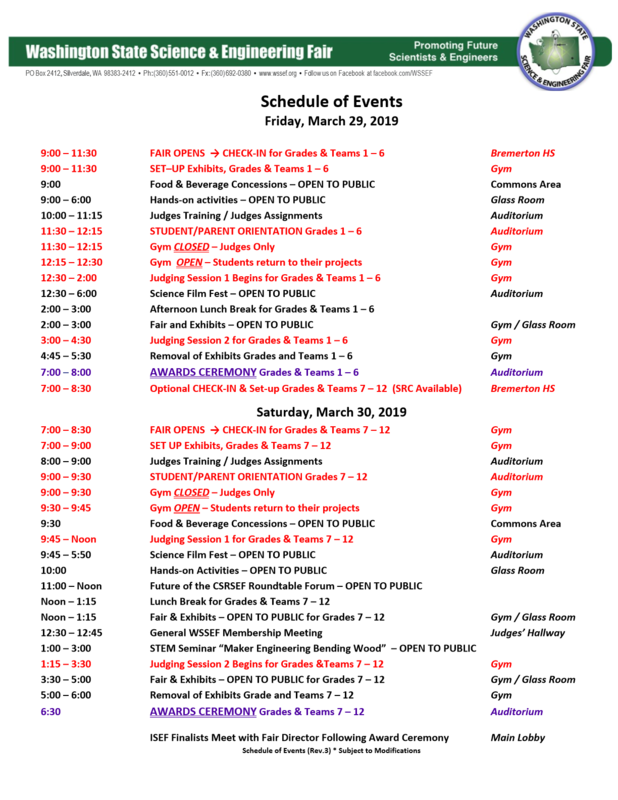 General Registration closeds March 25, 2019 at 9:00 pm. Make sure your name is in the registration system and you have received a Project ID number. By creating a student account and receiving a project ID number, you have met the requirements of the registration deadline. Late Registration (rarely occurs) Late registrations are accepted on a case by case basis and on fair space availability. Contact Fair Director at registration@wssef.org for registration questions. 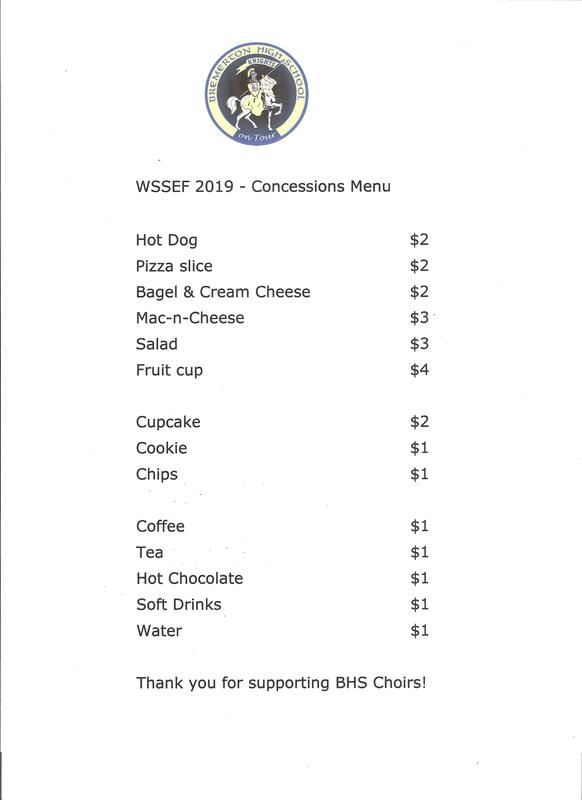 Registration Payment: Contact WSSEF Treasurer at sponsors@wssef.org for large group payments, school purchase orders, payment by check or with other questions. “STEM Seminar – Teachers and all STEM Leaders Welcome! !” ~ Seminar hands-on make-it projects; open to the public. WSSEF is pleased to announce the annual BOXLIGHT Scientific Film Festival presented concurrently with the Fair. Where can I get the latest WSSEF flyer? Click here to download the PDF version of the flyer. When can we set up our display? Registration is Friday 9:00 am to 11:30 am. All projects in Grades 1 – 6 must be registered (checked in) by 11:30 am and have the project set-up by noon. The display area will be closed between 11:30 – 12:15 p.m. for the judges to view projects without students. Students, parents, teachers and the general public attend the orientation in the auditorium during this time. Valuable information on how the Fair is shared at this time. Early Registration is Friday 7:30 pm ~ SRC review available. Registration opens Saturday 7:00 – 8:30 am. All projects in Grades 7 – 12 must be registered (checked in) and have the project set-up by Saturday morning at 9:00 am. The display area will be closed on Saturday between 9:00 – 9:30 am for the judges to view projects without students. This is a hard question to answer. We try to be completed with judging by 4:45 p.m. Friday and 3:30 p.m. Saturday. However, our success is dependent on two factors. The first is the number of entries and the second is the number of judges. When every entry in a category has been judged, an announcement will be made releasing that category. Every attempt is made to judge and release the younger students first on Friday night. How many judges will there be? A team of judges will interview every student at least once. Teams of judges are made up of a minimum of two volunteers. The team goes through a training session prior to judging. Additionally, several other teams who are judging for special awards may also interview some of the students. Do I have to stay by my project after I’ve talked to the judges? Yes! It is very important to stay with your exhibit until your category or grade is released. Besides the WSSEF judges, there are a number of other judging teams that may judge you. The WSSEF judging team may also come back and ask additional questions. What are the awards for the WSSEF? Please see the Awards page. When can I pick up my project? Projects grades 1-6 are removed Friday after judging is completed. Projects grades 7-12 are removed at 5:00 pm, Saturday. All projects must be left until then so awards can be placed on them. If projects are removed before awards are made, the student will NOT receive their awards. If for some reason you cannot be there to pick up your exhibit, the Fair asks you to make arrangements with a classmate or friend. Exhibits left behind after Saturday, 6:00 p.m. will be considered abandoned and disposed of accordingly. Why can’t I have plants, animals, food, soil, or water as part of my science project exhibit? These items and others are prohibited by the International Science and Engineering Fair rules, which we abide by. For specific prohibitions and other exhibit requirements view the Safety and Display Information HERE and the Updated Fair Rules and Regulations HERE. How do I become a judge? Every year the WSSEF faces the challenge to get qualified judges. If you are interested in judging, please email or see the Judges page. I don’t want to judge; can I still volunteer? Being entirely a volunteer organization, the WSSEF depends heavily on volunteers prior to and during the fair. Some of the volunteer opportunities available during the fair are check-in table, registration, project safety and display, building security, runner and answer desk. If you are interested please email or see the Volunteers page. How can I create an award or make a donation? Your special student award donation, sponsorship and continued support is important. The WSSEF does NOT receive state funding, school education funds or other subsidies. WSSEF depends solely on your donations. Your generous tax-deductible donations are 100% is dedicated to supporting the students and the WSSEF and greatly appreciated. Please prepare the WSSEF Student Special Award donor form or view the Sponsors page. I have further questions, who do I contact? You may use our Contacts page to contact a department, individual member, or ask general questions through our custom selection contact form. How do I get entry forms?